Last year I tried to theme my year with three words rather than commit myself to resolutions that I knew I wouldn’t keep anyway. I first heard of the concept from Mike Vardy, who in turn took the concept from Chris Brogan. 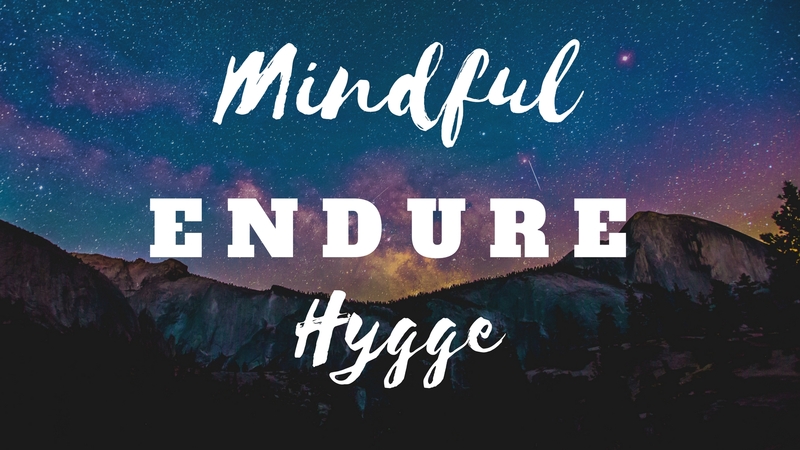 My words last year were Mindful, Endure, and Hygge. As I reflected on my 2018, I looked not only at how well I subscribed to those three words, but how they indeed influenced some of my decisions. The biggest example I can give for that influence is in a fairly substantial home renovation that we did (new floors, new paint, new furniture). Turns out we ended up with a very cozy family room that fully embodies the Hygge spirit for our family. Just one of the many ways my choice of words worked their way into my 2018. That reflection on my year was a new concept to me as well. But doing it made me mindful of myself and my decisions last year. It was a worthwhile exercise not only to look at what I did accomplish, but to remember what worked and what didn’t. While I worked on becoming more mindful of my decisions, choices, and surroundings last year, this year I hope to work on focusing on the things that are important to me. I have a hard time saying “no” to people and that can stretch me pretty thin from time-to-time. I’m learning to be honest with people about my time (and my abilities) which should help me focus on the things that truly interest me. Additionally, I took on a leadership role in my job last year. This means a lot of people come to me with questions, concerns, and just to chat. I really don’t mind, but I do have a hard time knowing when to put the proverbial blinders on and hunker down on something important. I’ll be working on learning to focus and avoid distractions this year. Sometimes I’m really good at being patient, sometimes I’m not. I come from a long line of hot-headed men that are quick to anger and quick to calm down. As I’ve aged, I’ve gotten better at not getting quite so hot-headed, but I still have work to do. Also patience goes hand-in-hand with last year’s endure, it seems fitting to continue that virtue. I started meditating regularly last year and found it very helpful. At some point I slipped and never really got back into it. Starting that again should help me work on patience too. Social media can be so frustrating sometimes with the constant barrage of negativity. I read this quote by Jacob M. Braude last year and it really resonated, “Consider how hard it is to change yourself and you’ll understand what little chance you have in trying changing others.” Since then I’ve cut back my social media time and attention. It really made me realize that rather than trying to respond to somebody’s negativity and feeding into that energy, I’m better off just living a life that I think is right and try to promote love, understanding, and humanity. 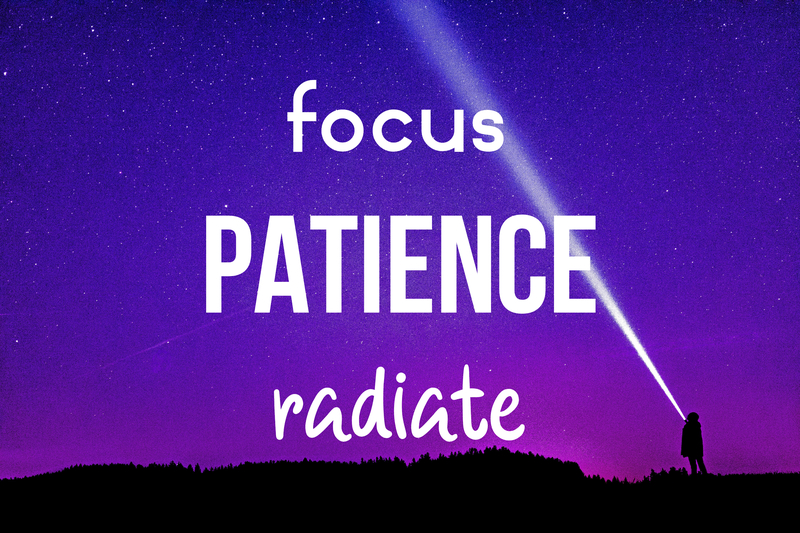 The word radiate seemed the best choice to embody that concept; especially as the mantra “radiate positivity” is fairly pervasive. So there you go, my three words that will help theme or guide my 2019. I’ll reflect again next year on how well I did choosing words. I’m very happy with my 2018 words, so here’s to hoping. If you participate this year, I’d love to hear your words in the comments, or leave a link to your blog. Bonus: I created a wallpaper for my laptop last year with the words and decided to do it again this year. Here they are just to hopefully inspire you to follow suit! Awesome choice of words for the new year. I especially like that quote that inspired you for Radiate! I’m all about that approach too – be the best you, and actually that may create the little positive changes in others you’re hoping for.